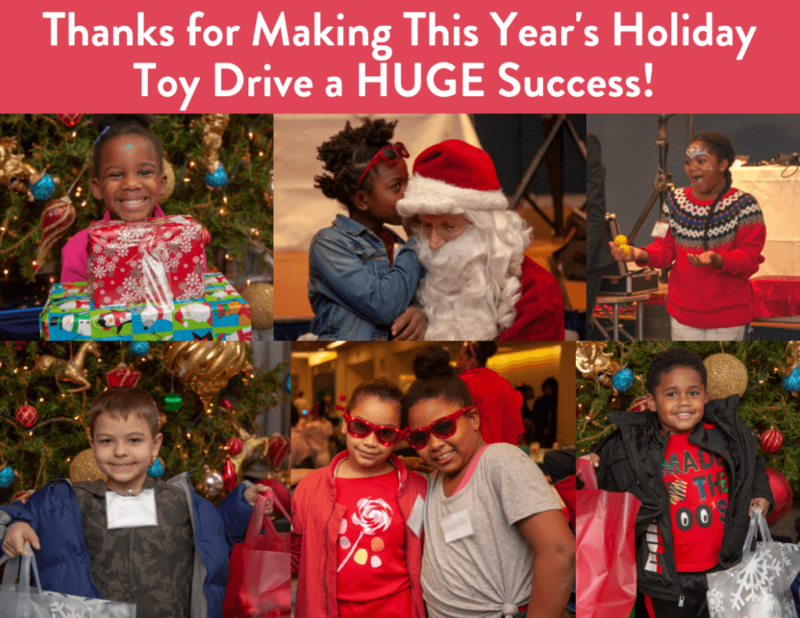 Thank You For Another Successful Holiday Toy Drive! Thank you to everyone who supported this year’s Holiday Toy Drive. 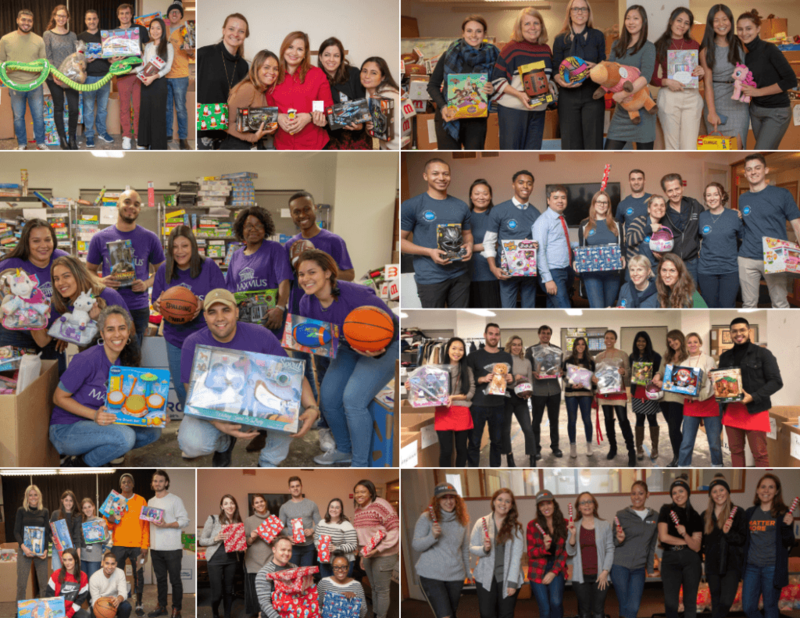 With your help, we distributed nearly 10,000 action figures, books, games, basketballs, dolls and more for homeless girls and boys in New York City. Last week, more than 120 kids from city shelters celebrated the festive season at our annual Kids’ Holiday Carnival, co-hosted by the United Federation of Teachers (UFT). Children were greeted with bags stuffed full of holiday goodies to share with their families and which included fun party favors, stuffed animals and delicious cookies courtesy of Coalition supporters Burke & Co. The kids hit the dance floor with special guests Black Panther and Bumblebee the Transformer, and enjoyed a magic show, cool graffiti art by Xmental Inc., party games with Camp Homeward Bound staff, manicure stations and, of course, a visit from Santa himself! The children left with huge smiles on their faces and arms full of treats and presents. We cannot begin to thank everyone who participated in this year’s Toy Drive. More than 23,000 girls and boys will spend the holidays in homeless shelters, but something as simple as a toy can bring so much happiness and let them know how truly special they are. Thank you to everyone who donated through our Amazon Wish List or hosted toy drives at schools or businesses, including our public drop-off partners The Albert Apartments, The Emerald Isle Immigration Center, and Assemblymember Felix Ortiz’s office. Thank you also to our corporate volunteers from Accenture, Analytics Partners, Blackstone Group, Goldman Sachs, JP Morgan Chase, Maximus Foundation, MWWPR, Nike, NYC Economic Development Corp (NYCEDC), Vox Media, and White+Case who helped us unpack, organize, sort and wrap thousands of toys and prepare gift bags for the Carnival. We couldn’t have gotten so many toys out to so many families in need without you! Thank you also to Roger Clark and NY1 for once again raising awareness about the Holiday Toy Drive to caring New Yorkers throughout the City. Thank you again for all that you do to support homeless kids all year long. From all of us here at the Coalition — Happy Holidays!